Rotary is a service organisation of business and professional leaders united worldwide who help those in need, advocate high ethical standards in all vocations, and work toward world understanding and peace. Rotary is more than 1.2 million service-minded men and women belonging to 27,000 Rotary Clubs in 150 countries and 35 geographical regions. Rotary is compassion for the underprivileged, the ill and disabled, who benefit from over 50,000 Rotary club service projects in the world each year. Rotary is running the biggest non-government scholarship scheme in the world. Rotary is behind a foundation that gives more than £21 million every year to educational and humanitarian programmes that promote international understanding. 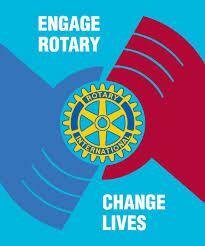 Rotarians meet weekly to enjoy each other's fellowship and discuss ways to serve others. Membership is by invitation. Rotary's mission is simply to serve others; to give something back; to advance world understanding, goodwill and peace by utilising the skills and talents of our members collectively. We want to bring about positive change in our neighbourhoods by fostering and building strong communities. We want to provide opportunities that will improve lives. 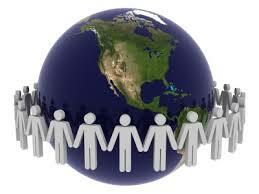 We want to help eradicate poverty, hunger and preventable disease across the world.